These steps will run you through setting up a Data Source in the OpenOffice.org system. A dBase type database will be created for cross platform consistancy. Select the Tools-Data Source menu. Enter a name for your Data Source. NOTE: I am going to use TEST as the Data Source name. Select dBase as the Data Source. NOTE: We are using dBase, because it allows full control over the database on a local system. Enter a directory for the program to store the data files in. Be sure to enter a directory that DOES NOT exist. The program will automatically create it for you. In this section, we will go over how to Add tables in a Data Source. This section assumes that your Data Source allows full access to the database. Currently, dBase or Spreadsheet are the only types that allow this type of access to files on your computer. JDBC and ODBC can be used if you already have a Database System setup like MySQL, SQL Server, or ORACLE. Click on the Tables tab. Click on the New Table icon. Select a Name for your table. NOTE: For this How To, we will use TestTable. Close the Table Design screen. Close the Data Source window. This section demonstrates how OpenOffice.org can be used to enter, edit, and remove values in a Data Source. The Data Explorer window appears. Click on the Test Data Source. If no records exist in the table, anything you type will automatically start a new record. Otherwise, click the New Record button . Click in John Doe's Telephone field. Press the Down Arrow. NOTE: Moving to a new record saves your changes. Click on the Row Selector in front of Jane Doe. Either or will select the record. Play around with the different column types when adding tables. 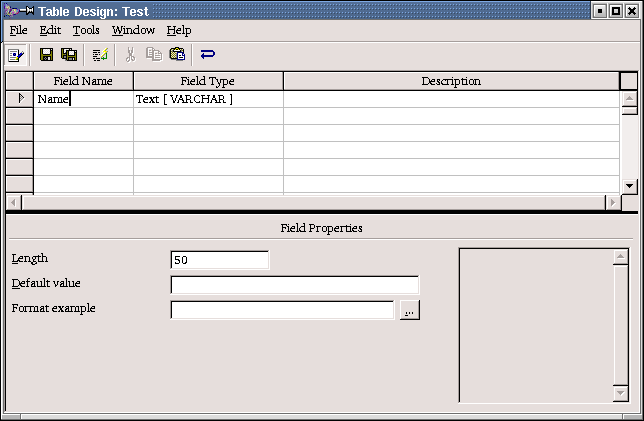 Look into creating SQL statements when in the Data Source screen. NOTE: You will not hurt anything by playing around with the database that was created in this How To.